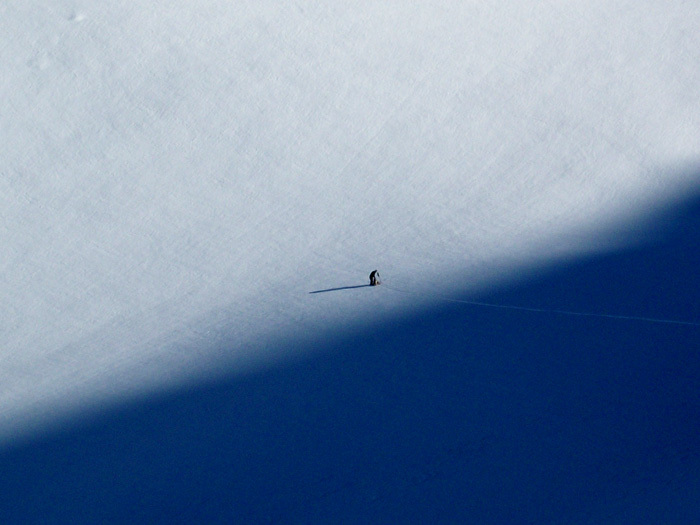 Up until six weeks ago I had never killed an Ostrich and I had never been skiing above 14,000’.Unfortunately, despite my best efforts, only one of these goals came to fruition during this expedition to South America. Apparently the former, despite the rumors we heard from other gringos, is not exactly a tourist attraction. In fact, going on an ostrich hunting safari is pretty sketchy/illegal/weird, even by South American standards. The latter, however, is fairly achievable for those with the ambition, time, or energy, but preferably all three. 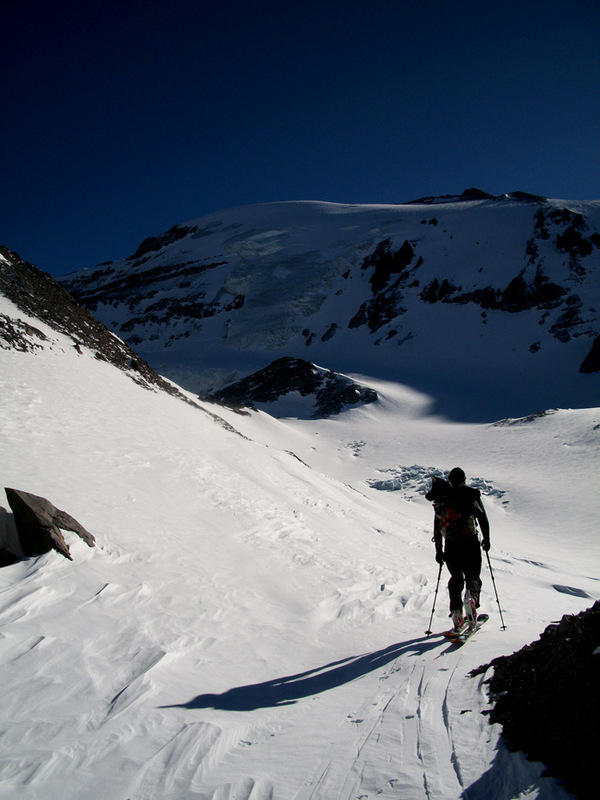 With this in mind, Drew Tabke and I set out to ski 17,795’ Cerro El Plomo, the massive glaciated peak east of La Parva Ski Area. 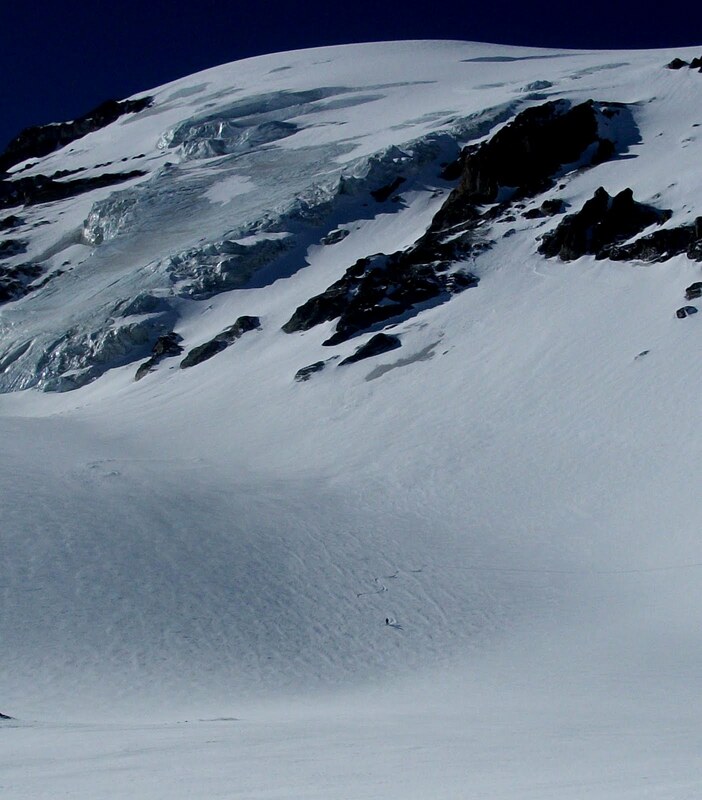 Plomo is typically climbed during the summer months over 2-4 days, including the approach. While Drew and I had no shortage of energy and blind ambition, time, however, was one thing we were lacking. We made the call for a one day push, hoping that by saving weight we’d be able to travel a little quicker. We announced our plans to the director of ski patrol and, while he thought that we were crazy and would either fail or die, he happily agreed to let us stay at the refugio at the top of La Parva. Equipped with eight sandwiches, four Red Bulls, two snickers, and a chocolate bar for the next 24 hours, we started hitch hiking from the small town of Farellones early in the afternoon. As we were waiting for a ride I suggested to Drew that if we hitch hiked up and then bummed a cat ride to the refugio, we should be able to consider the climb from our current elevation, which was around 7,000’. He informed me that, “Although we may be ‘keeping it real,’ that’s not really what mountaineers consider ‘pure.’” I had to agree. By 6:00pm we’d made it to therefugio. After a quick meal of PB&Js and a jam session to some Chilean hits that were being transmitted by an old radio left in the shelter, we went to bed, ready for a 2:30am start. The lights of Santiago shined brightly as we left the safety of the refugio and headed into the crisp winter night. 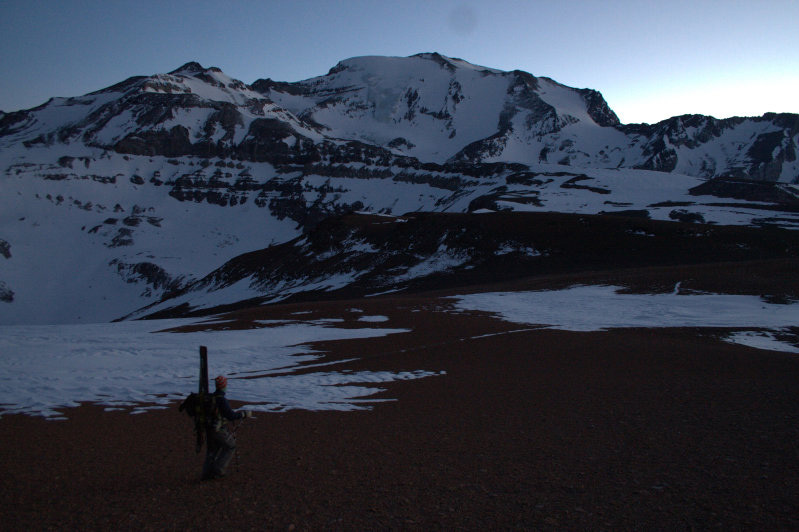 Over the next several hours we worked our way around the peaks of Falsa Parva and Cerro Parva, guided by moonlight. By the time the alpenglow was hitting the highest peaks in the Andes we were positioned atop a cliff band that would give us access to the valley that leads to Plomo. After a quick stop for breakfast we found a line through the cliffs that lead to the valley 2,000’ below. This “good morning” line was by no means straightforward: a chute that funneled into a 20’ section that was tip-to-tail wide, followed by a must make left turn over exposure. I slid in, had a very questionable hip check, and then skied out to the left. Drew cleaned the line no problem and we both skied down to the valley. Once in the valley, the route up Plomo is fairly straightforward: a gradual skin to the base of the massive 3,000’ face, a long boot-pack up the face, and then another gradual skin 1,000’ up to the summit. 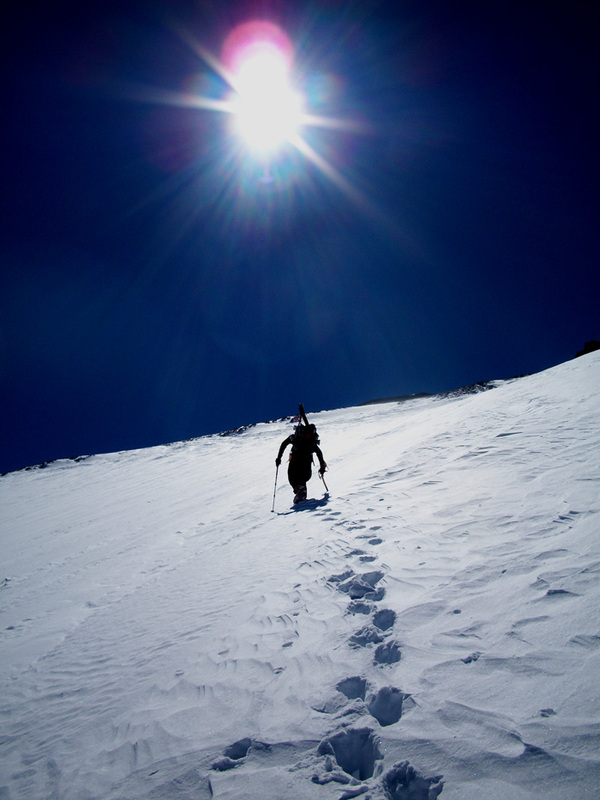 We made quick work of the skin, and, as the mid day sun began to shine overhead, we threw on our crampons and began the long trek up the face. While I wish I could say Drew and I tag teamed the face, taking turns leading up the monster, truth be told Drew single handedly put in one of the more impressive boot packs I’ve seen. He charged the upper two-thirds of the pitch without a break- that’s 2,000’ at high elevation, with 5,000’ of climbing already in the bag that day. But then again the kid claims Mt. Rainier as his home resort. With the face behind us, sitting at roughly 17,000’, we began the final push to the summit as the effects of altitude and exhaustion really began to set in. It became a game of taking steps until our hearts and lungs redlined, resting, regrouping, and then doing it again. Finally, just after 3pm, we took the final rocky steps to the summit. Our scene at the summit was anything but celebratory. It mostly consisted of snapping a few photos, mumbling half-coherent sentences at one another, and then getting to lower elevation as quickly as we could. We retreated to the top of the face, at which point we were able to get ourselves together a little more. I’ve always climbed with strictly the descent in mind- never sacrificing performance in my equipment for weight and comfort. The extra effort has always paid off on the way down, except, as I found out, when I’m too exhausted to do anything but survival ski. While the 8,000’+ descent back to Valle Nevado could be all time, it was all we could do to survive it. To make matters worse, due to some miscalculations with directions and time on our part, we had a 1,500’ climb up to Valley Nevado. By the time we made it to the parking lot the sun had set, and we were fairly delirious after a 10,000’ day of climbing. We lacked the energy for an enthusiastic return to Farellones and were greeted with shock as we told people of our success. Drew would later note that every conversation with the locals would go the same, “ First they’re surprised we’re alive, then they assume we failed, next they accuse us of lying and demand to see pictures.” Although I woke up in the middle of the night to puke violently and I swear that I wasn’t normal for several days after, I’d like to think the effort was worth it if only for the look on the locals’ faces when the two gringos came back alive and successful.